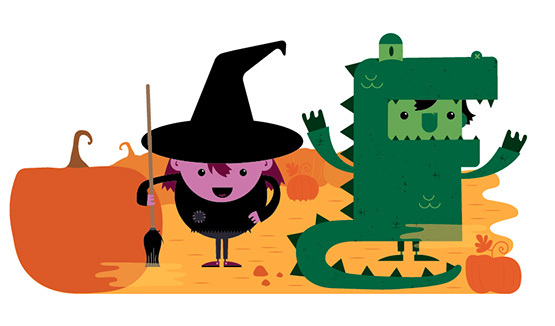 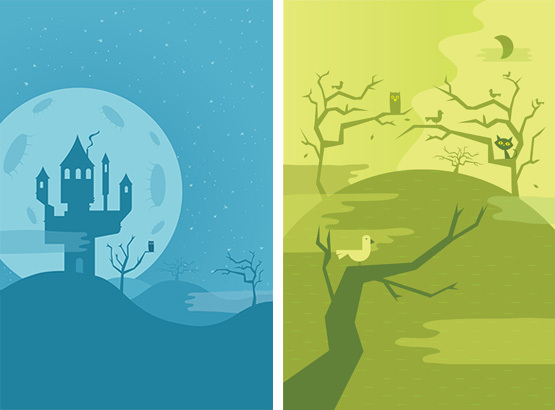 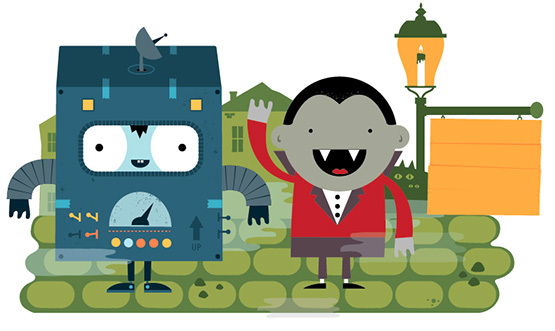 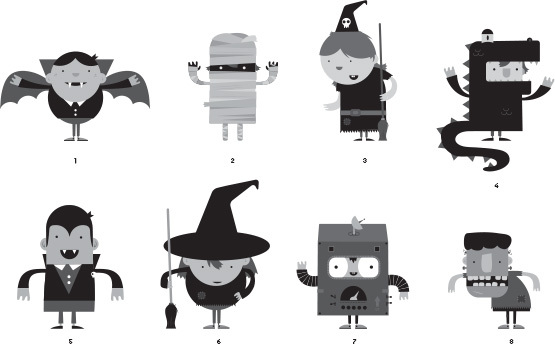 With halloween just around the corner I think its time I shared these illustrations I created for Publix. 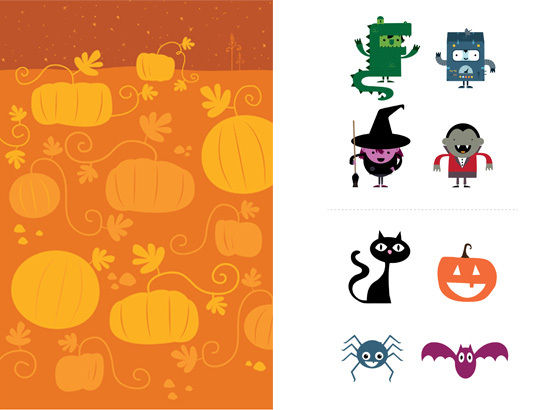 I worked with Publix to bring to life several costumed kid characters, as well as halloween themed backgrounds that the characters could be placed on. 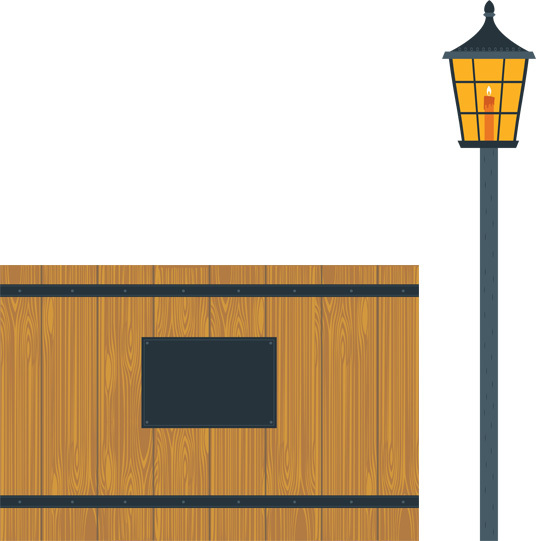 In addition to the backgrounds and characters I created artwork that could be wrapped around bins filled with various candy, which you can see after the jump.